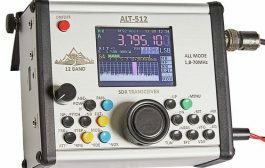 An approach less instinctive in the best antenna selection requires considerations and assessments that often escape the attention of many. Here are some reasons why it is worth preferring Delta Loop antenna. 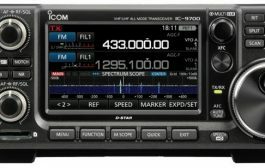 Among the main features of a Delta Loop antenna system there is certainly the greatest gain forward developed in relation to the length of the boom. 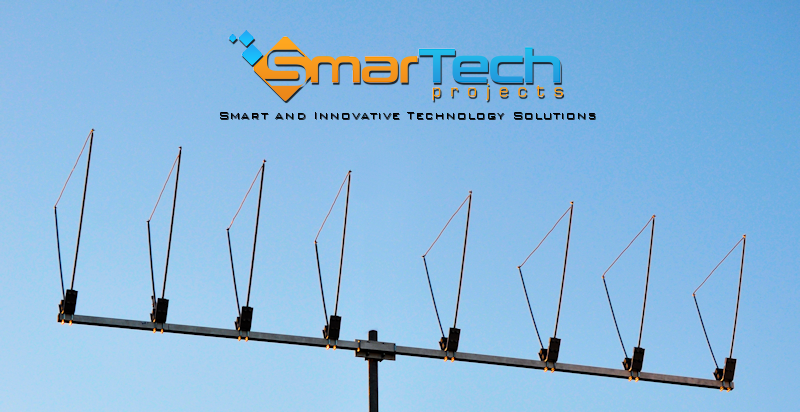 The antenna systems consist of arrays of elements on rigid boom are mainly represented by logarithmic antennas (such regular log or LPDA) and by type of Yagi antennas. Log periodic antenna is always less gain than a Delta Loop hand boom length. 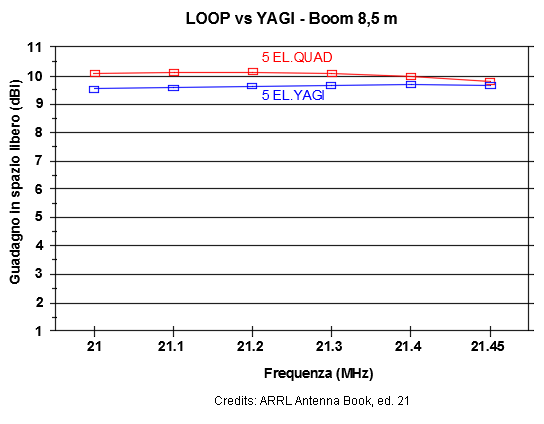 Comparison of Loop Yagi antenna systems and there is instead a body of literature, fed from birth to the loop antennas. 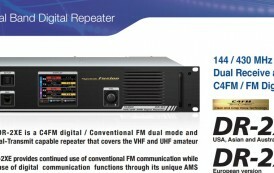 The comparison of the two systems shows that the forward gain of the loop antennas is always to be higher, at least up to 5-6 elements, to a counterpart Yagi-Uda system. 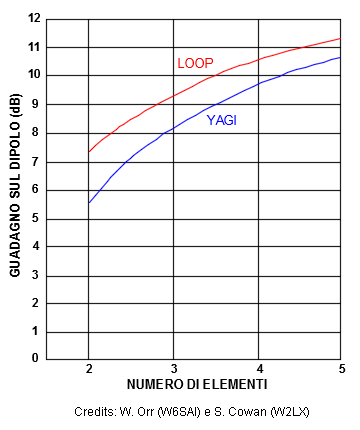 Generally, an antenna Loop expresses a higher gain than a Yagi antenna, for the same number of elements ( cfr. W6SAI Orr W. and S. Cowan W2LX ). 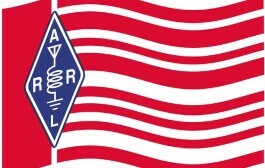 Taken from ‘ ARRL Antenna Book (ed. 21), we report an interesting comparison chart between two elements 5 for 21 MHz having the same boom length (about 8.5 m). As can easily be seen, the forward antenna gain Loop remains higher than that of Yagi-Uda along the entire useful band. 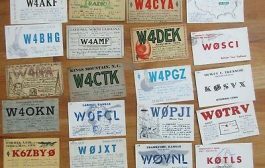 However, even in conditions of lesser gap between Loop and Yagi, there were no cases in which the gain of a Yagi forward system has passed the counterpart array Loop. The Delta Loop antennas have the particularity to develop entirely above the joint with the mast. This feature means that even for installations with relatively minimum distances from the ground draws system values take off (angle of the horizon elevation of the main lobe) very low. 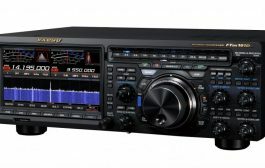 This is of fundamental importance for achieving long distance links via the ionosphere since the smaller the angle of take off, the greater the distance of the jump signal RF transmitted from the antenna. 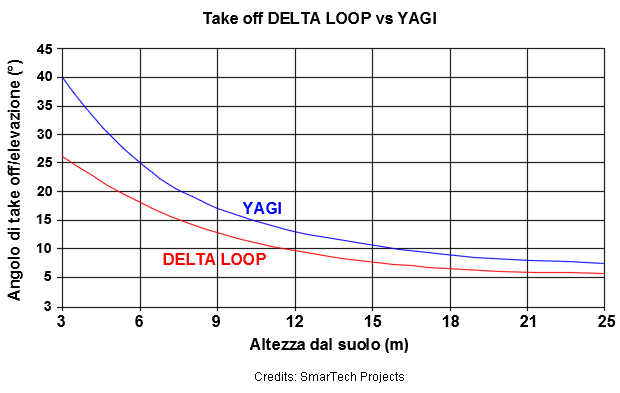 The graph shows the comparison between the typical trend of elevation angle as a function of the distance from the ground of a Yagi antenna and a Delta Loop, installed to the same heights. The placement of the electrical center of gravity of a Delta Loop is about 2/3 of the height of the Loop. 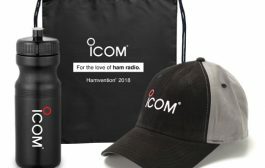 Consequently the antennas are particularly good performance even if installed with little impact heights relative to the ground or at the top of the buildings. And ‘commonly it is known that in closed loop antennas do not suffer the electrostatic noise. Therefore, a Delta Loop remains in operation even when the electrostatic noise makes unusable other antenna systems. The configuration “ring” (electrically closed circuit) and the impedance matching at gamma match up the best system of protection against electrostatic shock, because of the potential destruction of the devices connected to antennas with different configurations (eg. The destruction of the stadiums of receivers) input.